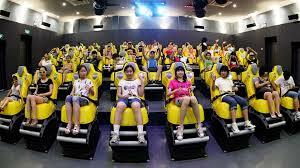 Silver Storm Water Theme Park Athirappilly launches XD Theatre at Thrissur. The park will also launch spinning disk and striking car tomorrow. The exclusive rides are inaugurated by Tourism Minister Sri. AP Anil Kumar tomoroow at 6:30 pm. Special packages for school and college groups are also offered during this vacation season.